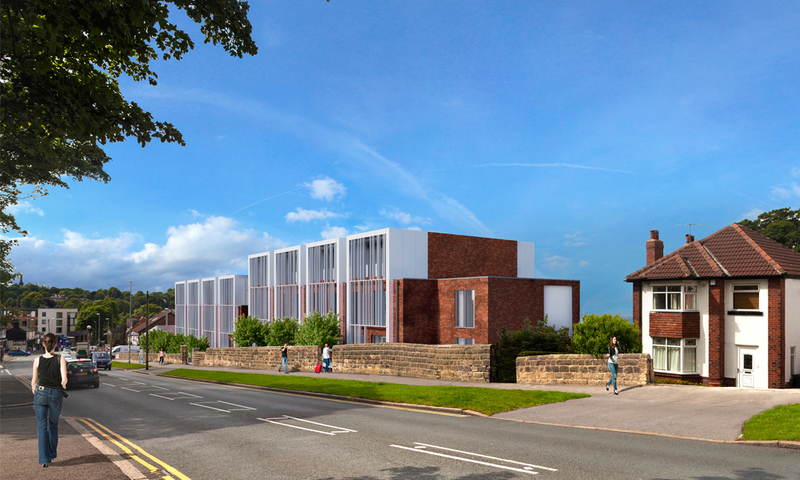 Set in the ever improving district centre of Meanwood, in Leeds, this project will enhance the character of the area by adding attractive modern living accommodation in close proximity to the local amenities. 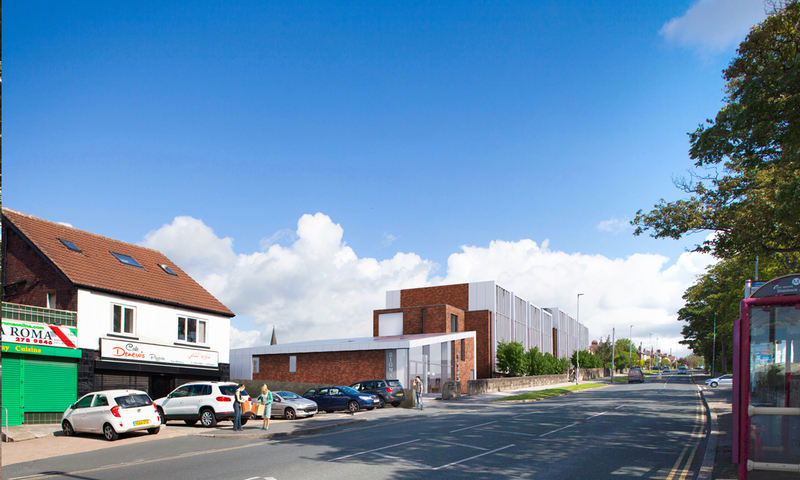 The project, for Hillcrest & Louis, will include a purpose-built new Working Men’s Club, and will locate 54 apartments on the site of the existing club building. Parking spaces are located beneath the building, the design utilising the contours on the site to hide the spaces from the view of residents and adjacent properties. This also allows the development to provide high levels of amenity space. Architecturally, the approach has been to reduce the visual impact of the development by stepping the form in line with the contours. This creates a series of terraces with west-facing aspect, and breaks up the (east-facing) building form to Stonegate Road. The important Stonegate Road elevation is further modelled through the introduction of protruding bays that reflect the scale of a ‘traditional terrace’. The visual scale of the bays is then brought down to a human scale with the insertion of vertical fins, randomly arranged within the frame. These fins also create a sense of privacy and separation for the residents that face the busy Stonegate Road.